When Elizabeth Gaskell was announced as the winner of the Classics Circuit, I saw the opportunity to finally read The Life of Charlotte Bronte. Jane Eyre is my favorite book and Charlotte Bronte- actually the whole Bronte clan- is fascinating a person. However, I felt I didn't really know much about her except for bits and pieces. 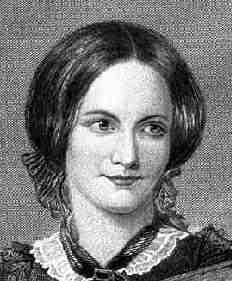 The Life of Charlotte Bronte is written as much by Charlotte as it is by Gaskell. Much of her life is told in her own words through her letters to friends. It's actually quite heavy on the letters. I had to take frequent breaks from the book since I found it was hard to read letter after letter. Still, reading her own words is a something I appreciate. It gave me a view of her I never had before, both the good and bad. Gaskell had plenty of source material to work from for the biography. To Ellen Nussey alone, Charlotte wrote over 500 letters. Gaskell could pick and choose what or what not to include. While I found she covered much of her life, I couldn't help but feel that much was left out. Her marriage to Arthur Nicholls mystifies me. She turned down three marriage proposals and says many times that she is content to be single. Yet, in her late 30's she agrees to marry her father's curate. None of her letters about him are glowing with love. She's very quiet about the whole thing. Gaskell herself is the one who says they were happy. I felt there was much missing from this part of her life. As a biographer, Gaskell has a few disadvantages. First, she was a friend of Charlotte. This may seem like an advantage since she knew the woman and have first hand account of her. But, in fact, Gaskell has a conflict of interest. She has a loyalty to her friend, even though she had died. After reading The Life of Charlotte Bronte, I read the introduction by May Sinclair. It seems that Gaskell left out some embarrassing facts about her, like her crush on her married professor, M Heger. "His imagination, that only knows itself as creative, has to become passive. There are moments when he must repress it entirely in the interests of truth. And yet there is the impossibility of keeping imagination altogether out of it." She does get carried away at a few points and turns to down right editorializing when it comes to the fall of Branwell. He was Charlotte's brother, an opium addict, who nearly ruined the family with his debts before he died. Gaskell lays much of the blame at the feet of his married lover. She demonizes the woman when it's obvious that Branwell was no angel to begin with. Still, Gaskell provides a vivid picture of Charlotte. She's fiercely loyal to her family and friends. After the deaths of her two elder sisters as children, she takes the place of eldest sister to her motherless siblings. She clucks over them all like a mother hen. She was never separated from them for long until their deaths. The hardest letters to read are the ones during and after the deaths of Emily and Anne. They are heartbreaking letters. Within a year, Charlotte lost all her remaining 3 siblings. "a woman's principle work in life is hardly left to her own choice; nor can she drop the domestic charges devolving on her as an individual, for the exercise of the most splendid talents ever bestowed." I'm sure many women today have similar feelings. No matter what career she has, there are always matters at home to take care of and it seems to always fall on the woman. All through Charlotte's life, she suffered from nervous disorders. If she were alive today, she'd be on anti-depressants and anti-anxiety medications! I think much of this stems from her father's odd child rearing beliefs. The children were so lonely and isolated that by the time they went to school they were painfully awkward and shy. Charlotte was never comfortable in social situations and understandably this became worse after her last sisters' deaths. Her letters are riddled with references to her headaches and declining health. Was this real or imagined sickness? After her marriage, Charlotte became pregnant and what little good health she had quickly deteriorated. She became violently ill with morning sickness (which for many women is 'all day sickness') and died either from the effects of it or pneumonia. 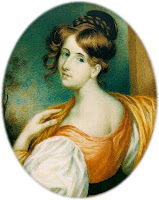 It's clear that Gaskell admired Charlotte Bronte as a person and a writer. She gives her praise and often there is a defensive tone in her writing. You wouldn't want to cross her. Glimpses of her own personality show through even though this is about her friend. This is my first Elizabeth Gaskell and I'm not sure if it's the right place to start but if you are a Bronte fan, I highly recommend it. My thanks to the Classics Circuit for the opportunity to review The Life of Charlotte Bronte and my local library for the book. This is also a great choice for the All About the Brontes Challenge and the Women Unbound Challenge. 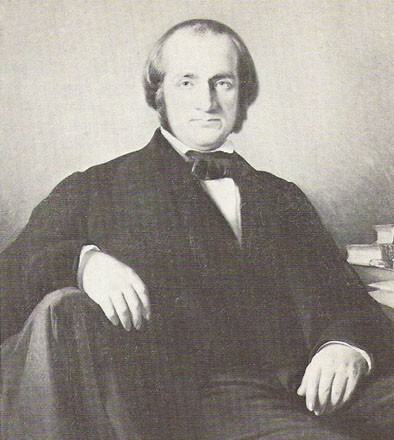 Gaskell was not right in her depiction of Patrick Bronte. She had seen him only once when Charlotte was alive and that time he was very angry with her because she was writing letters to Artur Bell Nicholls. Patrick was an eccentric man but he loved his children. And then Gaskell was trying to blame him in order to justify the "occasional coarseness" of Charlotte's books. For me that is the worst part of that biography. It didn't focus at all to her work while it could not say much things about her personal life either as still there wee many people living. If you follow the whole emotional journey of Charlotte's including her unrequited love for Heger ans her strange relationship with her editor, George Smith, it is not difficult to understand why she married Nicholls. You can read her letters about him and the passionate way he loved her and finally won her in Clement Shorter's "Charlotte Bronte and her circle" which you can download from www.gutenberg.org for free. You can visit my channel too if you like, for some documentaries on the Bronte's. I'd love to learn more about Charlotte, creator of possibly the best heroine in literature ever (who yes is very lucky to come into money and not get locked in an attic). I didn't realise this was out in such an easily available format so I'll be adding it to my list. This is a biography I've been meaning to read. Elizabeth Gaskell isn't my favorite author but hearing Charlotte's story from a friend and from her own letters must be fascinating. I'd love to read this, biases and editing and all. I suspect it'd tell me nearly as much about Gaskell as about Charlotte Brontë - and about my dear Victorians in general. This does sound fascinating. I'm sure I'd have to take breaks too, because I have to get used to the language in books like that. I think my library has this book! Thanks so much for the detailed review. Even if I don't get to this book right away, I learned a lot about CB from your review. ksotikoula- I definitely felt that there was a bias but I wouldn't want to write about my friends after they died. Jodie- Yes, it should be easy to find. Carrie- That's what attracted me to this one. Nymeth- Yes, I felt that way, I could see some of Gaskell in it. Kathy- I'm not much of a letter reader so I found it challenging. Bybee- Hope you find it. Teddy- lol! I didn't know when to stop! I had more thing I wanted to say but thought that was enough. It's not a book that needs spoiler alert ;). As a fan I am going to have to read this, friendly prejudice and all. Great review!! I'd heard that it did show a lot about Gaskell as well as Charlotte Bronte. I hadn't know that Charlotte had gotten married at all! I had this image of her as a spinster, like Jane Austen. It sounds like a fascinating look at Charlotte Bronte and interesting to think about her relationship with Gaskell. I'm with you: I wouldn't want to try to write biographies of my friends after they've passed on! Thanks for joining the Circuit! This is one of my favorite of Gaskell's works and certainly my favorite Bronte bio, Gaskell's bias and embroidery notwithstanding. I agree that Gaskell may have been too close to her subject to provide a balanced look at her life, but the work itself was fascinating. For all the flack this book has received regarding Gaskell's portrayal of Patrick Bronte, I find it interesting that he never complained...others did (notably the Lowood connection and the Branwell affair), but Patrick didn't. I've read several review of this biography and, since Charlotte Bronte wrote one of my favourite novels (Jane Eyre)and Elizabeth Gaskell is one of my favourite Victorian writers, it's time I read it! But I've chosen other books for the All About the Brontes Challenge. Anyhow, I want to get a copy of this bio. Good review. Thank you. Fantastic review. I read this biography back in highschool before I was aware of Gaskell being a novelist in her own right. I also agree that she definitely editorialized Charlotte's life, but it is also interesting as it was written by someone that actually knew her when she was living. This one is on my list...great review.